Barre, Vt. – Barre’s Thunder Road hosts its final Thursday night event of the 2017 racing season this Thursday, August 24 with Jet Service Envelope/Accura Printing Night. All four divisions will be in action as drivers set themselves up for the final push in their title chases. In addition to a full card of action for the Thunder Road Late Models, Lenny’s Shoe & Apparel Flying Tigers, Allen Lumber Street Stocks, and Burnett Scrap Metals Road Warriors, the program will feature the annual “Run-What-You-Brung” spectator races. Drivers ages 18 or older will compete in one-on-one single lap races in their street-legal vehicles around the Barre high banks. All vehicles need to be registered, inspected, and insured, and competitors must purchase a pit pass and wear an approved safety helmet. Competitors must register by6:00pm and the field will be capped at 50 entries. 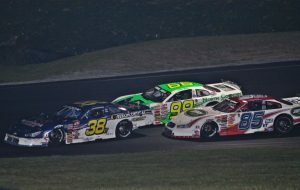 Barre, Vt. – The American-Canadian Tour (ACT) returns to Barre, Vt.’s Thunder Road Speedbowl this Sunday, April 30 for the 19th Merchants Bank 150. The event kicks off the 58th season of competition on the quarter-mile oval and is the first of two visits this year for the ACT Late Model Tour. A pair of multi-time Merchants Bank 150 winners will lead the charge into this year’s event. Three-time and defending event champion Nick Sweet of Barre will look to go back-to-back, while two-time event champion Scott Payea of Colchester is attempting to match Sweet in the record books. Lee, NH – After a two week delay due to some late season winter weather, Lee USA Speedway is readying to open the 2017 campaign next weekend, with the annual running of the New Hampshire Governor’s Cup 150 American Canadian Tour (ACT) Late Model event now scheduled to go green on Sunday, April 23. The traditional season-opener will also feature the North East Mini Stock Tour and the wildly-popular scaled down, motorcycle engine powered hotrods better known as the Northeast Classic Lites. 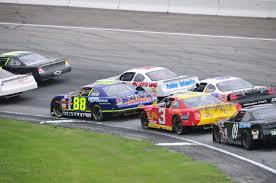 Both divisions are expected to see strong fields of entries in action at “New Hampshire‘s Center of Speed“. Benjamin Motorsports would like to welcome Associated Grocers of New England back onboard for the 2017 Pro All Star Racing season ! 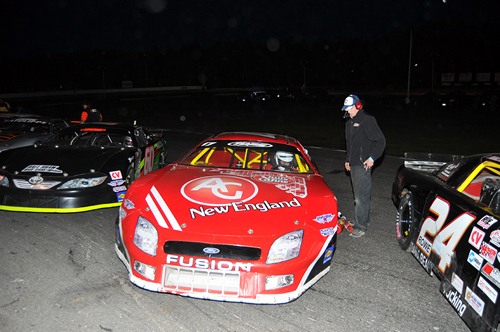 Associated Grocers of New England was an important part of Benjamin Motorsports during our 2012 PASS Championship run ! AG New England was founded in 1946 by a mall, enterprising group of independent grocers, drawn together to combine their buying power in order to better serve their customers. You can read more about the cooperative’s history please visit their web site AGNE.com . Today, the company serves stores in the states of New Hampshire, Vermont, Massachusetts, Connecticut, Rhode Island, Maine, Upstate New York/Albany area, Northeast Maryland, and Eastern Pennsylvania. Vermont’s Devil’s Bowl Speedway can lay claim to the most diverse schedule of stock car racing events in the Northeast in 2014, as details for the first-ever “Battle at the Bowl” dirt series have been announced. The three-race run begins on Friday, September 26 at 7 p.m. 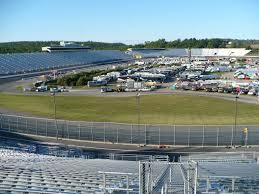 The starting field for the 6th annual Bond Auto ACT Invitational at the New Hampshire Motor Speedway (NHMS) on Saturday, September 20, 2014 has been set. The sixth edition of the event will have the American Canadian Tour (ACT) introducing fans to a promising future for regional Late Model short track stock car racing. Veteran champions and former NHMS winners Eddie MacDonald, Rowley, MA; Joey Polewarczyk, Jr. (Pole), Hudson, NH; Ray Parent, Tiverton, RI; and Brian Hoar, Williston, VT have all won events at the “Magic Mile”. This year there are lots of young emerging stars who will challenge the veterans.